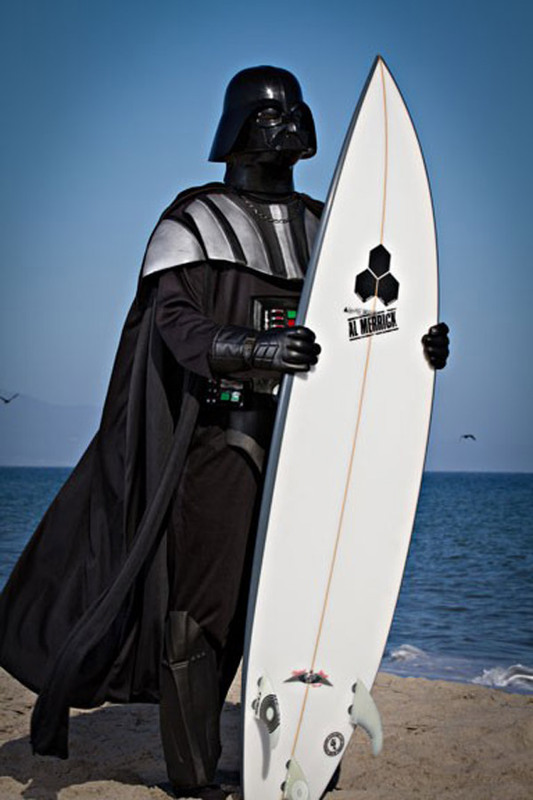 The last time we saw Darth Vader on holiday, he was just trying to relax. This time around, he actually goes surfing in the ocean. Will the powers of the Dark Side help him conquer the waves? 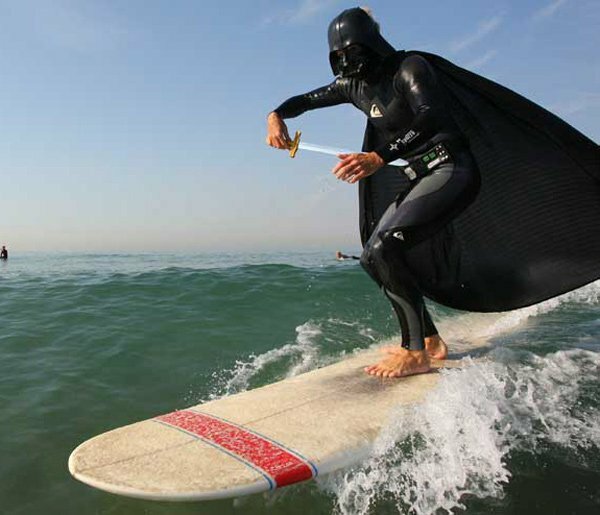 While vacationing Vader never actually got on his board, this Sith Lord sure went the extra mile, ripping up the surf. 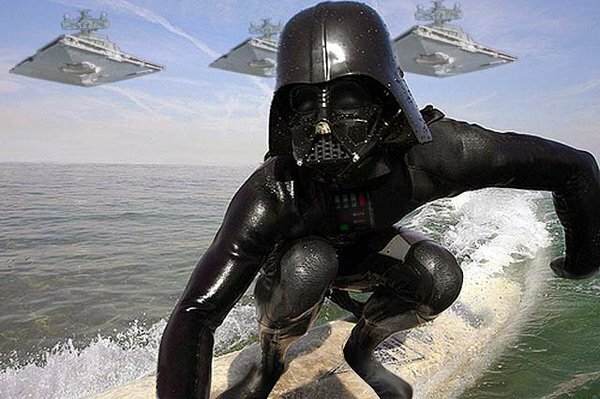 Unlike the Silver Surfer, it might take Darth Vader a while to reach the shore – unless he uses his powers again. 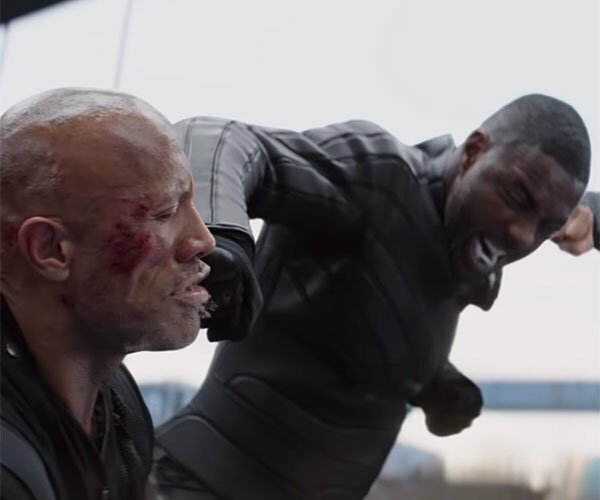 Like many Star Wars fans, I’m always wondering how these characters would look in their daily lives when they’re not in the heat of battle or some other space drama. 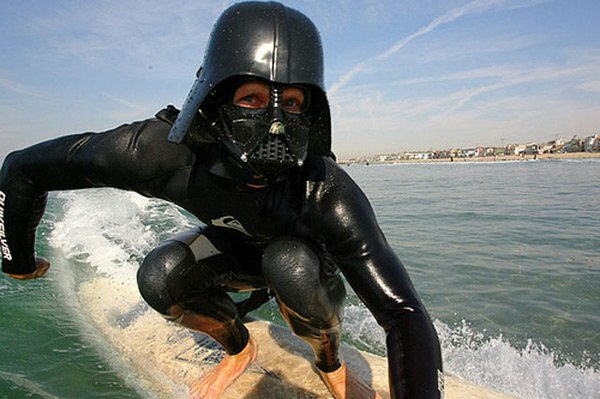 There’s nothing funnier than a Dark Lord of the Sith trying to have fun in the sun.